Did you know that Germany’s oldest city lies just across the river from Luxembourg City? 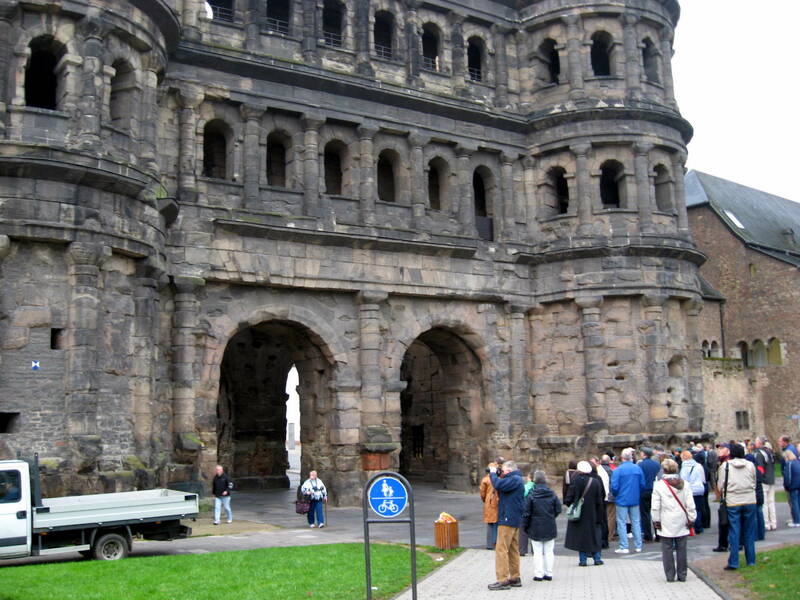 Trier was actually founded in 16 BC during the reign of Augustus Caesar and was called Augusta Treverorum. A few years ago it was our first stop on a Viking river cruise – and a complete surprise to me. Hadn’t heard of it. Knew nothing about it. And suddenly there we were, about to enter the city through the Porta Negra, or Black Gate (below), that is known as the best-preserved city gate from antiquity. Trier also has the remains of a Roman amphitheatre, Imperial Thermal Baths and other treasures from the times of Roman occupation. There are historical marvels from throughout the ages in Trier, including the medieval St. Peter’s Cathedral and picturesque Hauptmarkt square. You can even visit the house where Karl Marx was born, should you be so inclined. One of the things I love about European river cruises is that I know I never would have visited this truly beautiful, fascinating and historically significant little city on my own. I wouldn’t have even known to put it on my “must see” list, you know? 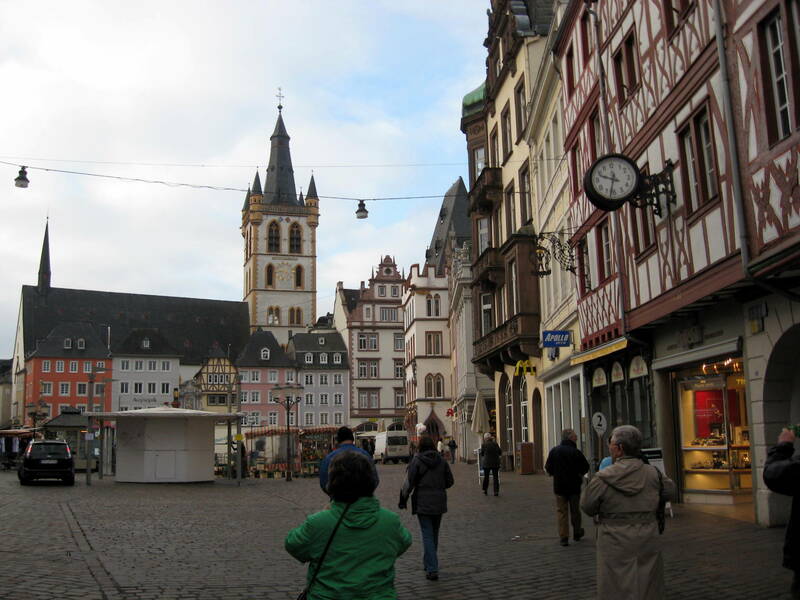 But traveling on a small ship along three rivers – the Moselle, Main and Rhine – introduced me to Trier, Cochem, Bamberg (my favorite!) and several other truly remarkable and memorable spots. There are many river cruise companies out there with a range of prices based on length of cruise and quality of accommodations. I have traveled on both Viking and Avalon so far and can personally recommend both. Now, of course, I get mail and emails from each practically every week, but you know what? I don’t mind. It’s always fun to look and dream. Should I book the trip through southern France, or maybe taste the wines of Portugal? How about finally seeing St. Petersburg (on my bucket list) or exploring more of the Danube in Austria and Germany? Here’s the tough part: I want to do all those things, AND – I want to return to all the beautiful places I’ve fallen in love with so far. Yikes! This entry was posted in Travel and tagged antiquity, Avalon, dreams, Germany, historical, Moselle, Porta Negra, river cruise, Roman, travel, Trier, Viking. Bookmark the permalink. Now you are in my area! Still occasionally think of retiring here at least part of the year. I’ve good friends who are wine growers and wine producers in the Mittel Mosel area in Zeltingen. They make some of the best Spatlese and Auschlese wine in the world. More details when we get together for dinner. We SO have to meet . . . ! Are we having dinner on Monday, or am I just making that up?